As part of my South America Trip Planning Process, I was fortunate enough to meet Ella (from Brazil) who gave me Portuguese lessons along with many food recommendations! 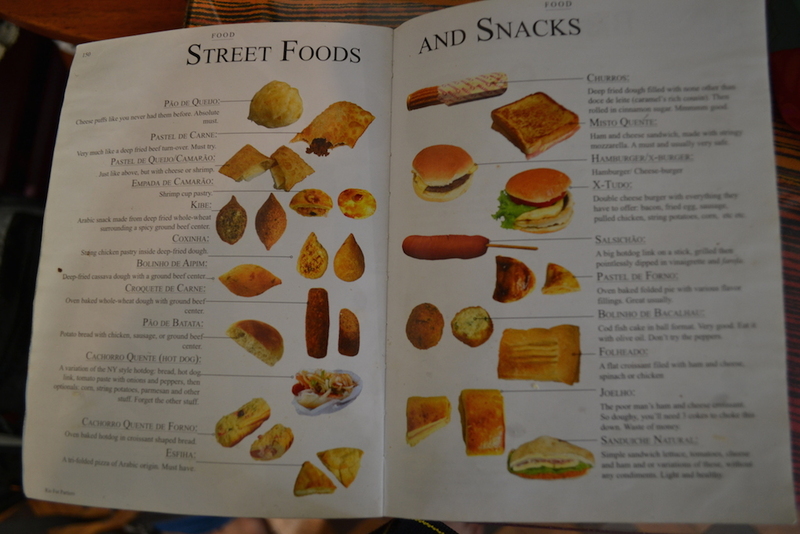 Particularly: pastel, coxinha and churros. 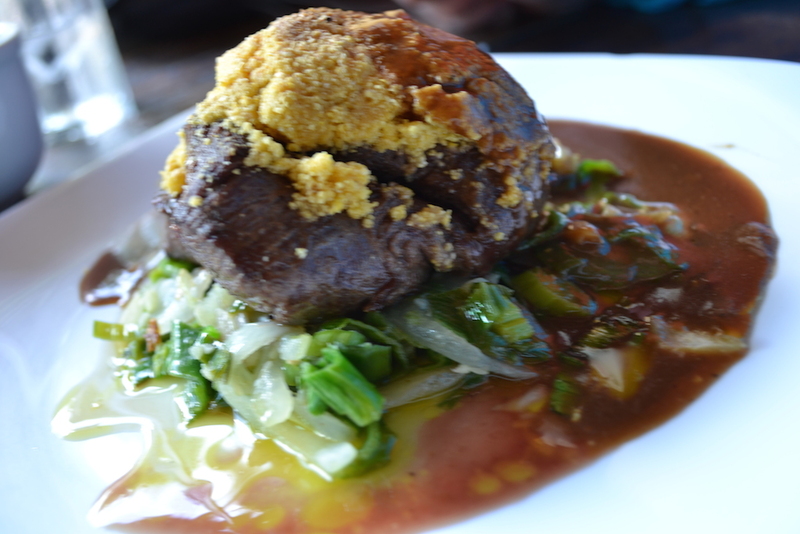 Following my food post on Cambodia, I have decided to dedicate more photo essays on food around the world. Spent an amazing time at Iguazu Falls, first on the Argentine side and then the Brazilian side. 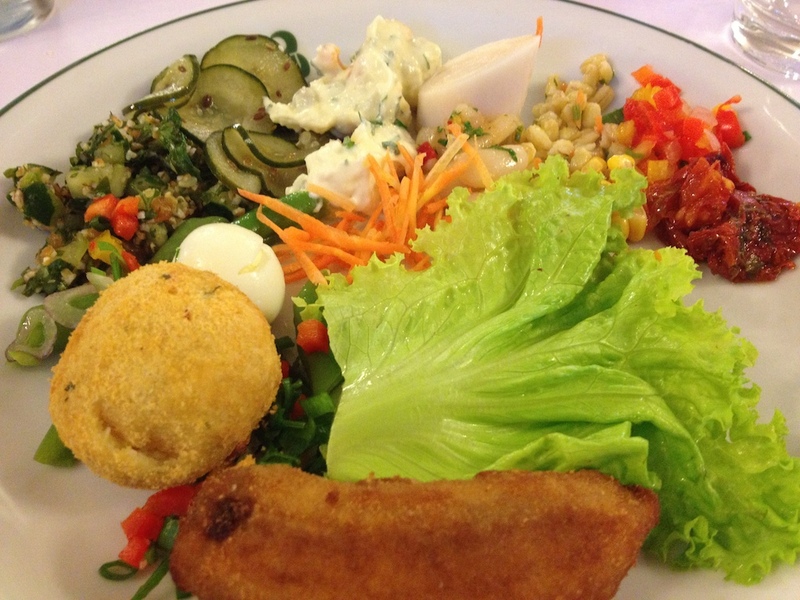 This was my first chance to try Brazilian food. On this side of the falls, we stayed at the exclusive hotel in the park (Hotel das Cataratas – the only one that’s built there) so we could be right next to the falls. The premium price was definitely justified by the extra park access and convenience, plus this beautiful hotel had a really great breakfast buffet! 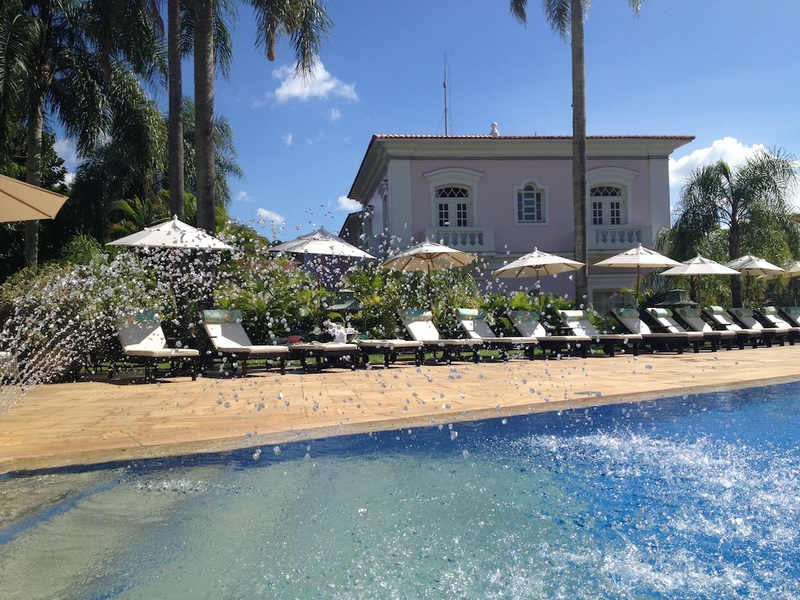 We loved it so much that we stayed at their sister hotel in Cambodia. 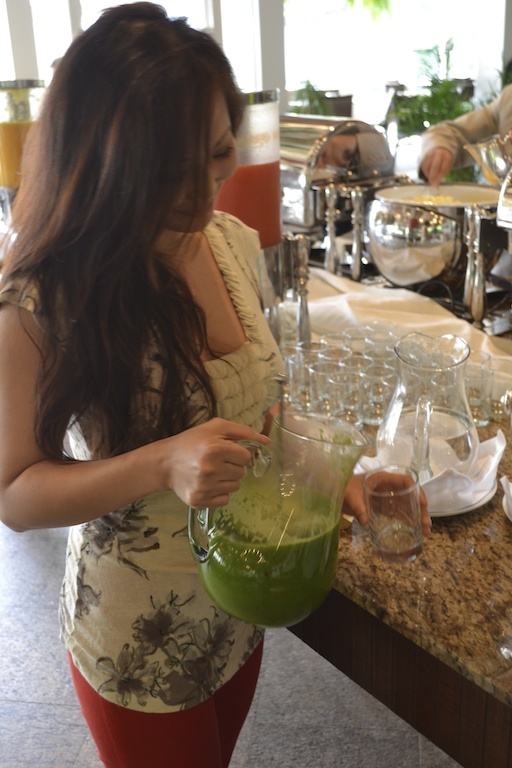 Here I am pouring myself a fruit concoction of apple, orange and kale. So delicious! 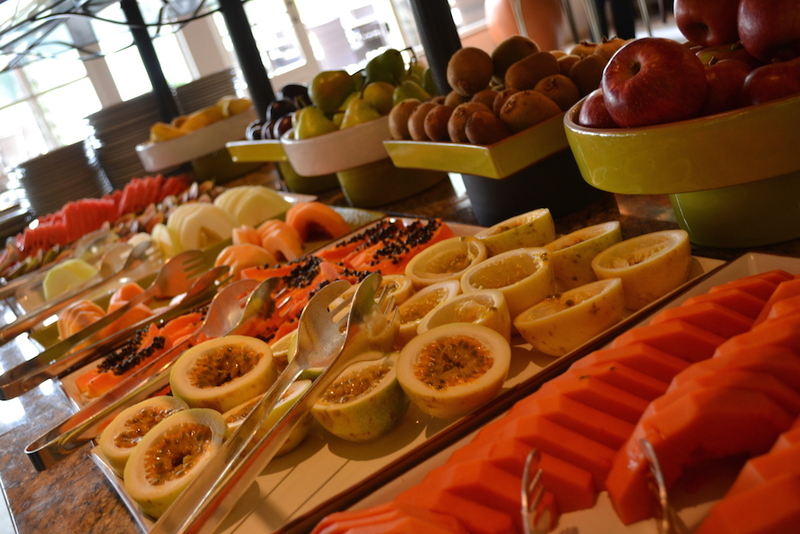 There was so much tropical fruit! And passionfruit! I probably had 5 of these. The ambiance of the room was also very inviting and relaxing. 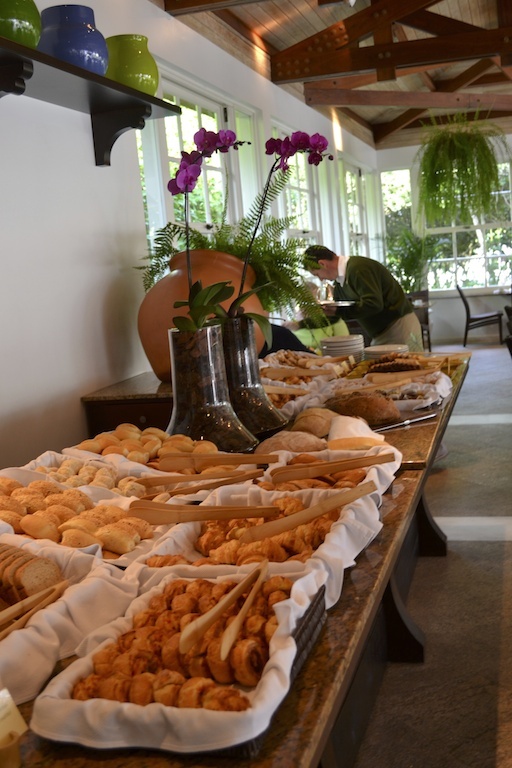 An elaborate assortment of pastries were laid out. 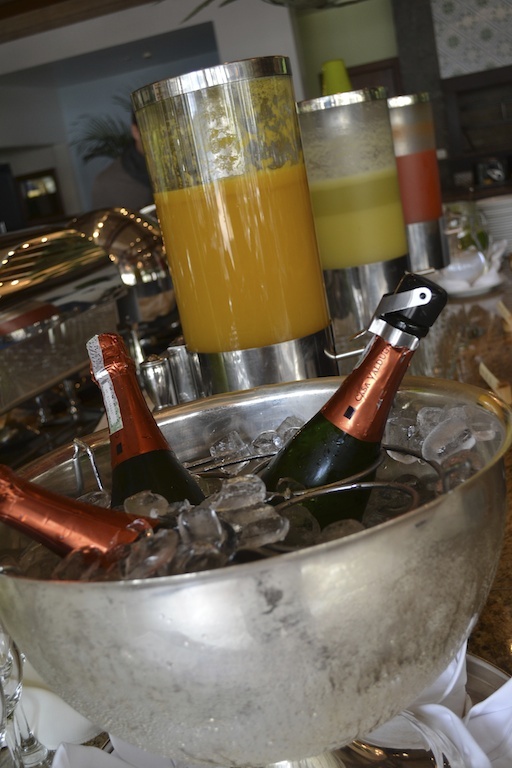 We rested outside after our breakfast buffet here by the poolside. And here, we ordered our first Caipirinha: Brazil’s nation cocktail. made with cachaça (sugar cane hard liquor), sugar and lime – This is our favourite drink to order when we’re out! 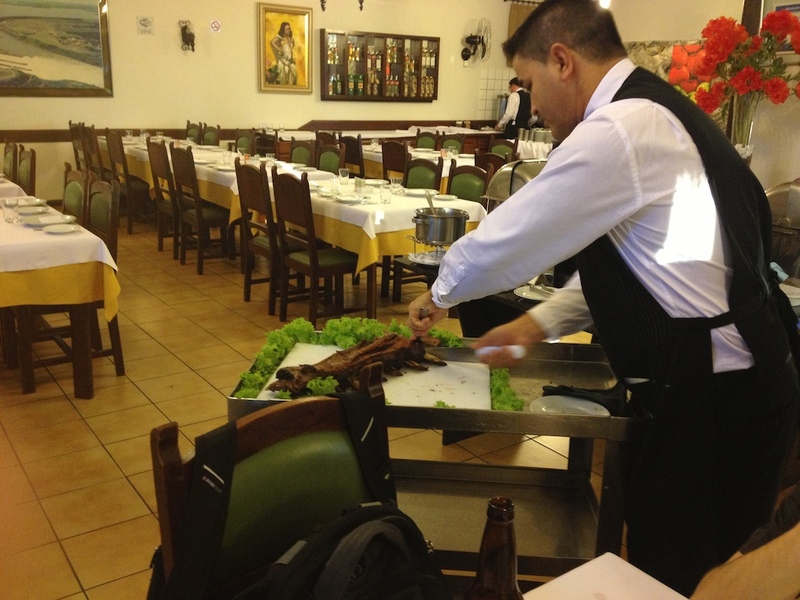 We also headed into the town of Foz do Iguaçu, which was about a 30-40 minute bus ride from Iguazu Falls, to try a Churrascaria – a place where meat is cooked in Churrasco style (Portuguese for ‘barbecue’). Men would come around with different types and cuts of meat on a sword and then slice off however much you want. 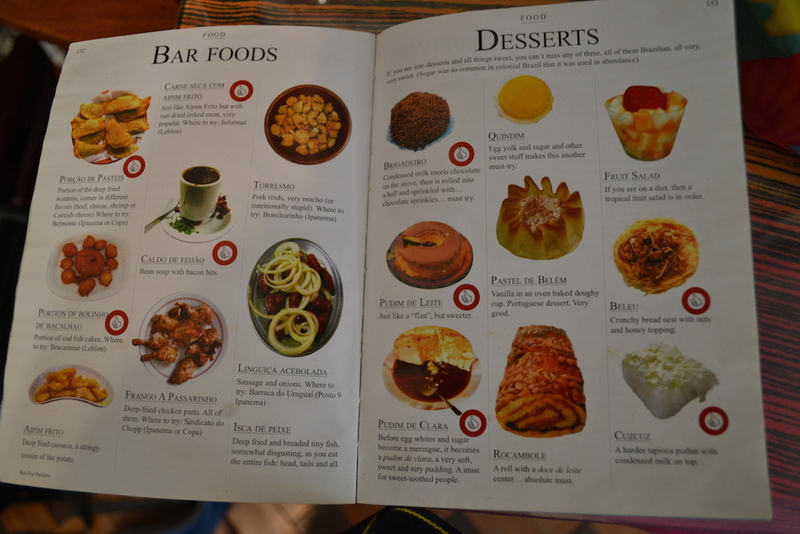 The restaurant we chose was mentioned in our guide book: Bufalo Branco. Below is our server slicing up some meat. I tried a lot of things, but passed on the chicken hearts. My plate after visiting the salad buffet. Fried banana was part of the hot food offering too. With all the meat you end up consuming, it’s good to balance it off with some vegetables. 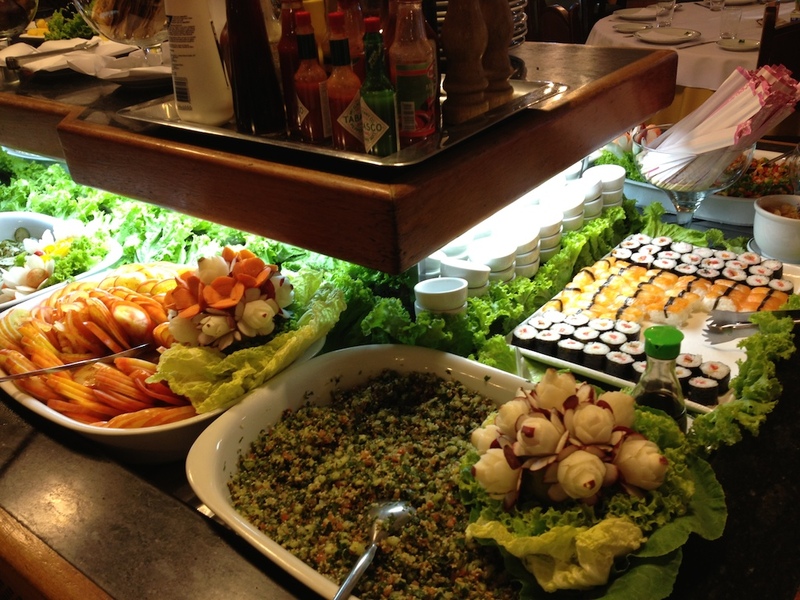 They had different types of dips and cold salads laid out too. 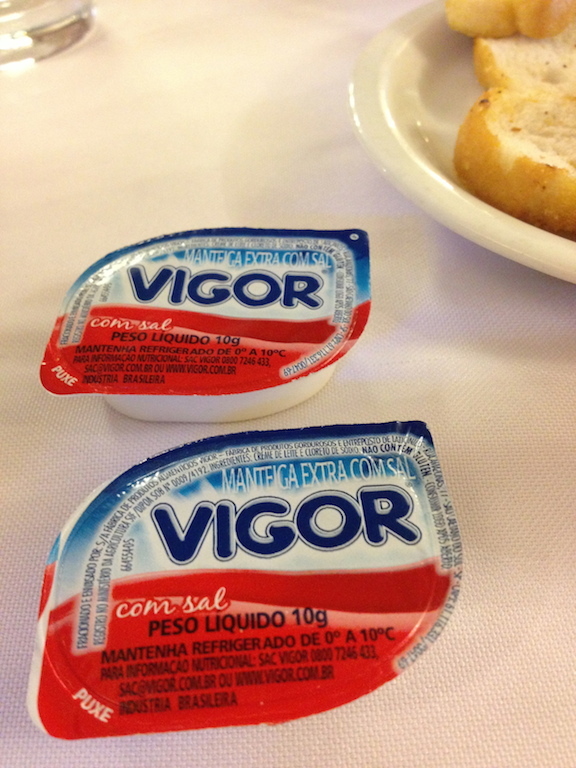 This was served with our bread: Vigor! Here is an insane dessert/candy bar (as in- it looks like a 5 year old made this). 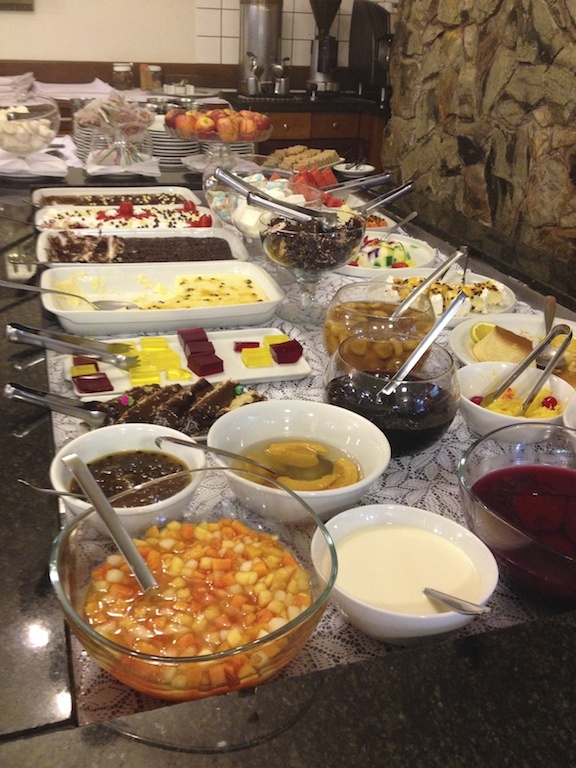 There were so many colours: rainbow lollipops and candy bars and jello parfaits. I can’t say it was terribly appetizing but I tried a few things just to see what it would taste like. 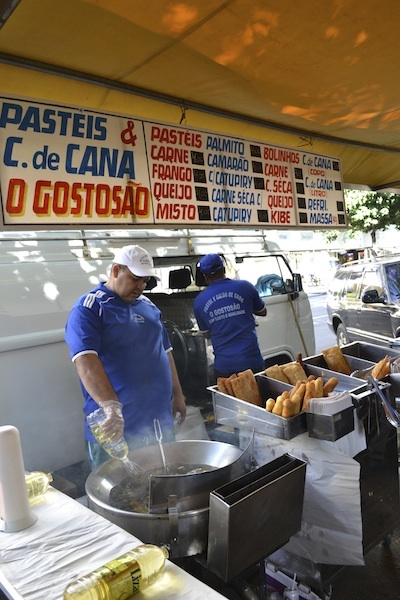 While waiting at the airport to head towards Rio de Janeiro – I had my first savoury pastry, and ones that Ella had told me to try – a pastel and coxinha. 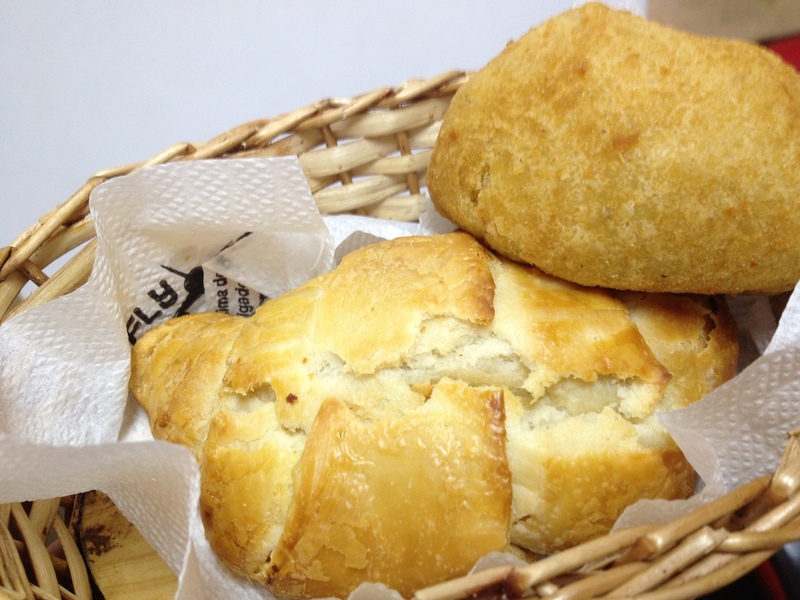 Deep friend pastry with meat and another pastry shaped like a teardrop with chicken inside. Given that this was airport food, I was sure I would find even better once I touched down in Rio. It was still satisfying though! 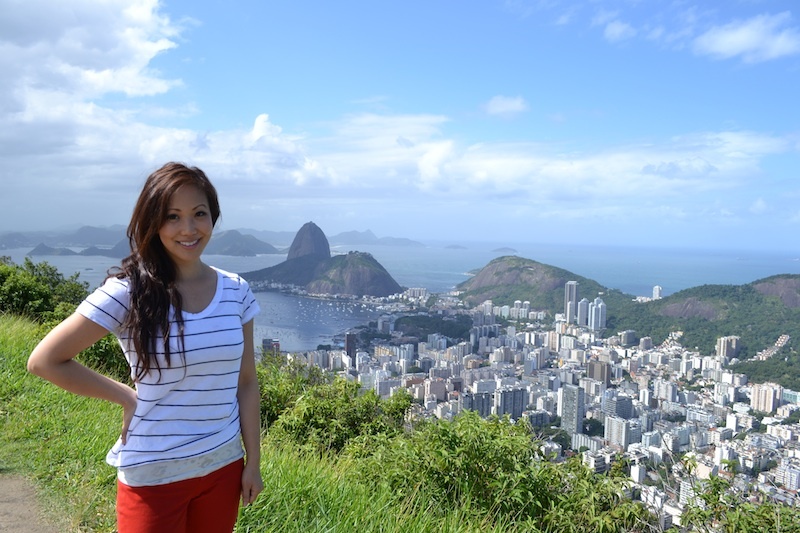 We spent an amazing first day on a private tour of Rio to check out some major sites. 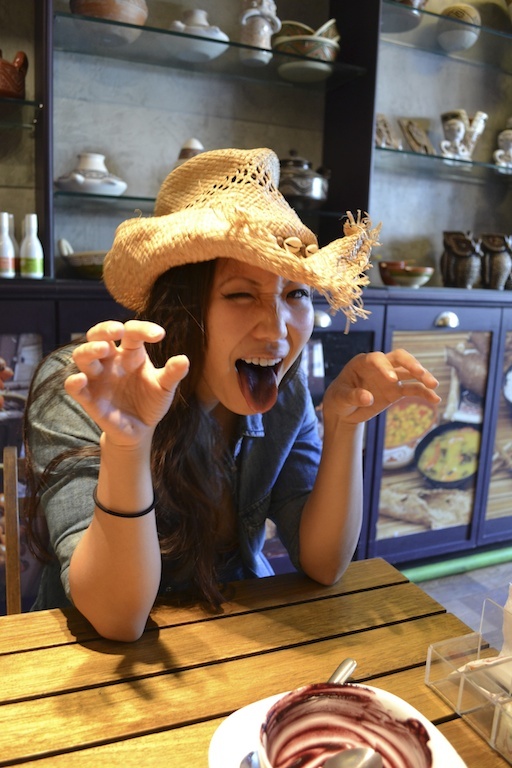 And of course, we asked him to take us to some interesting food places! 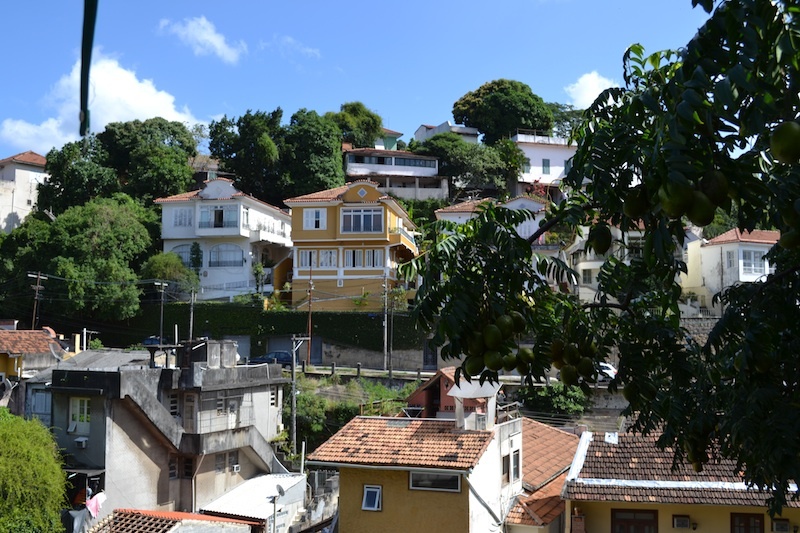 After spending time at Corcovado where the famous Christ the Redeemer Statue sits high on it’s mountain, we drove to a bohemiam neighborhood called Santa Teresa to try a local restaurant that our guide suggested. We got seated in a charming little restaurant that had many authentic dishes from the Amazon and we all ordered different dishes. 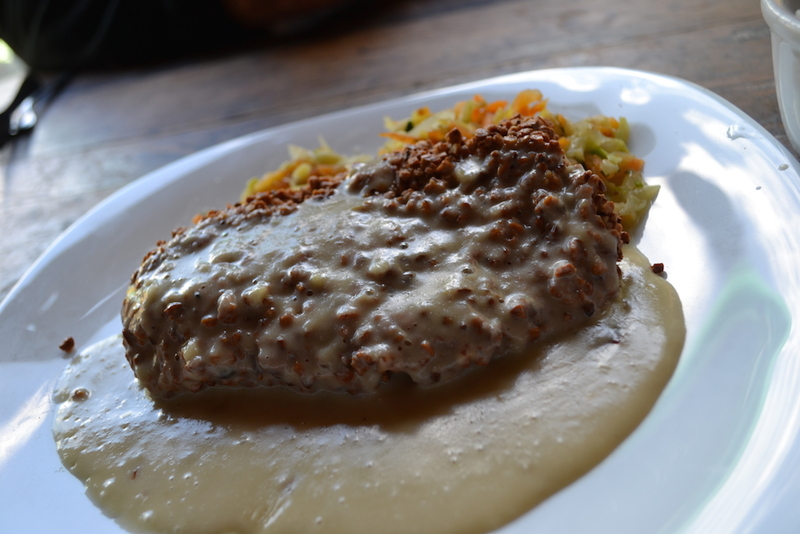 This was our guide’s dish, meat encrusted with a local kind of corn meal-like substance (we would have this gritty powder again on our last day as a side dish). This was our view from the restaurant patio – it was nice little to stop for lunch. 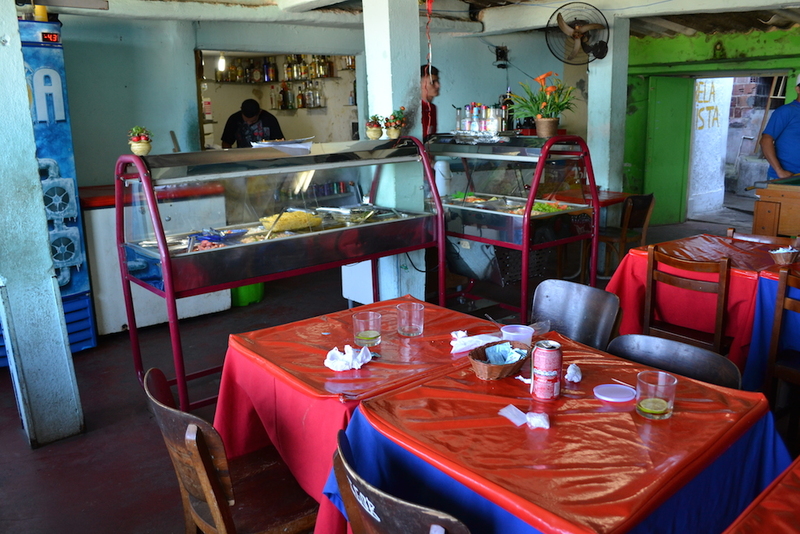 When we got back to our Bed and Breakfast, the fantastic Rio Dolphin Inn hosts took us to a local restaurant they liked. 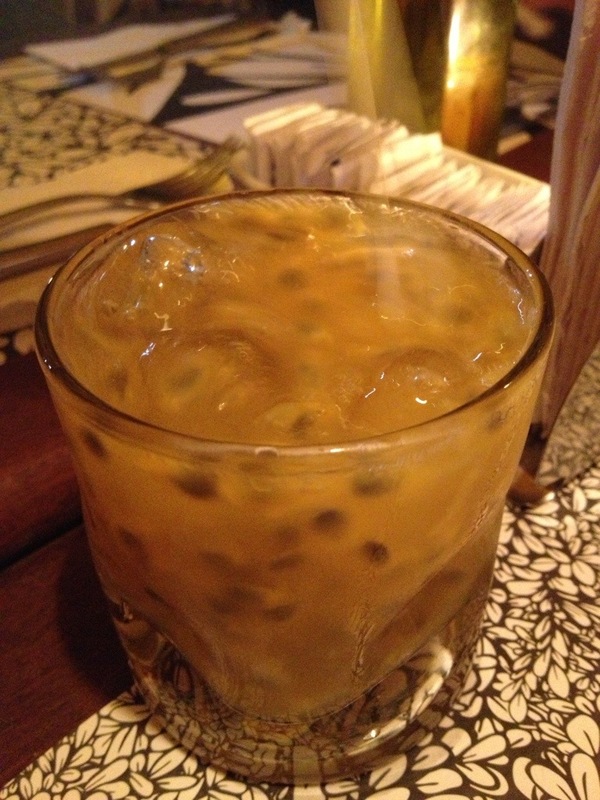 And to wash the meal down, we tried a passionfruit caipirinha. 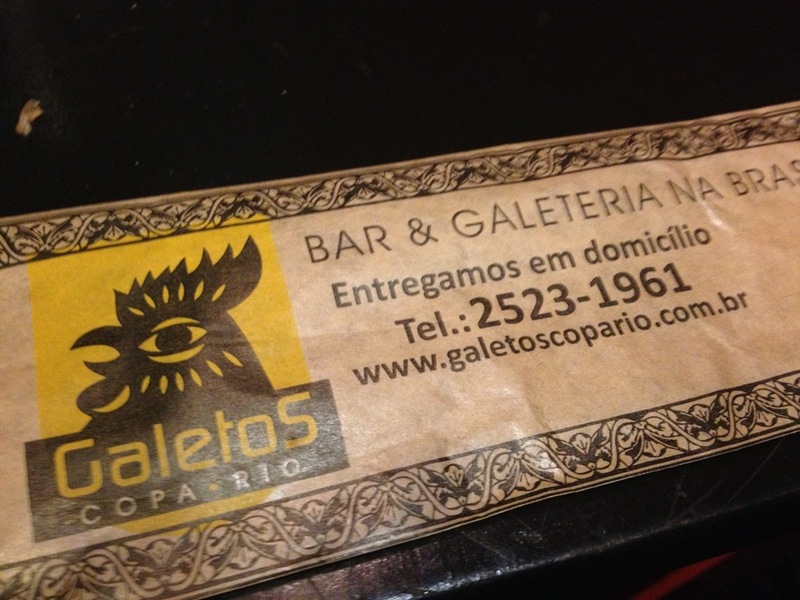 It was great, but the regular, non-flavoured, caipirinhas we had while in Rio were even better! Especially at the stands that line the beaches. 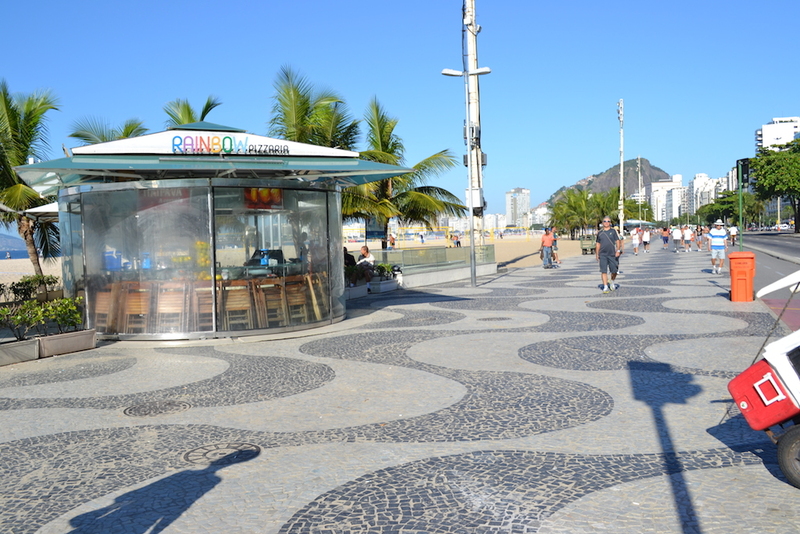 There was no shortage of food stalls while walking along Copacabana Beach. And everywhere you go, there are Juice Bars! 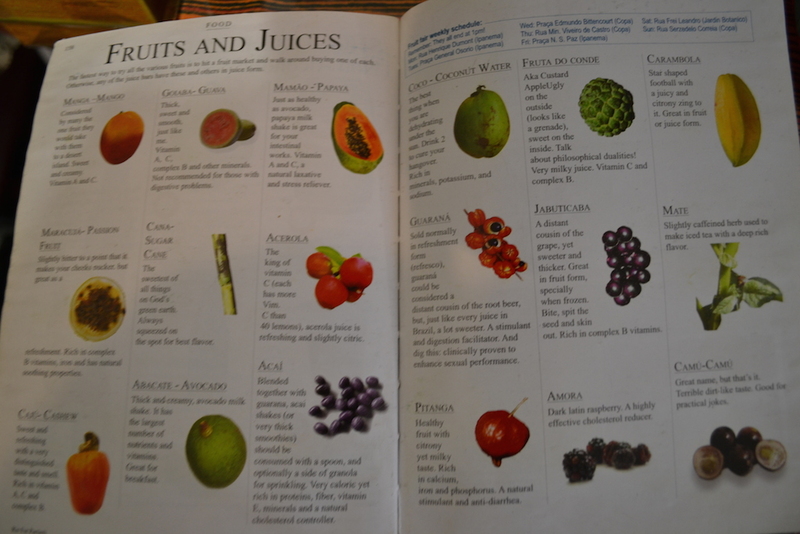 Some intersections have multiple juice bars at each corner. That’s me with some zero calorie sweetener to add to the juices! 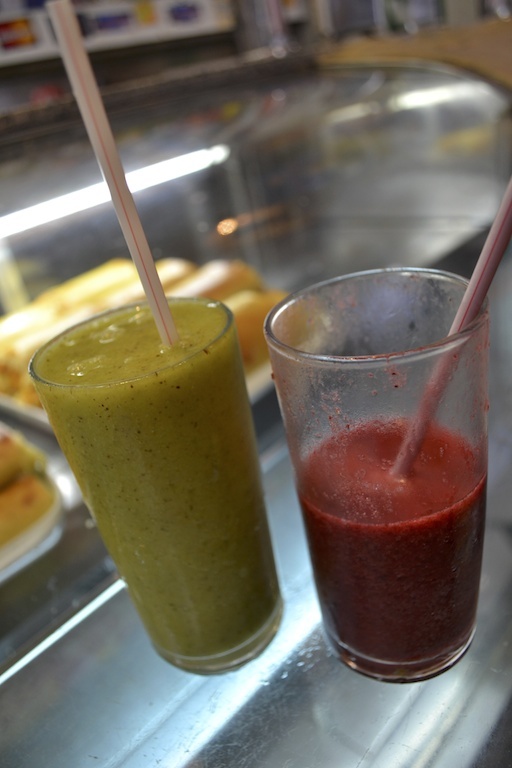 The juices were already so naturally sweet and tangy we didn’t really need to add this but wanted to try it. Typical morning routine: us walking down the street and grabbing some juices. I loved soursop fruit juice! Açaí berry is a local fruit and has been popular here way before Oprah made it famous. It was marketed as a potent antioxidant in North America, but I believe that’s been debunked/inconclusive for now (wikipedia notes it has lower levels than concord grapes and blueberries.) 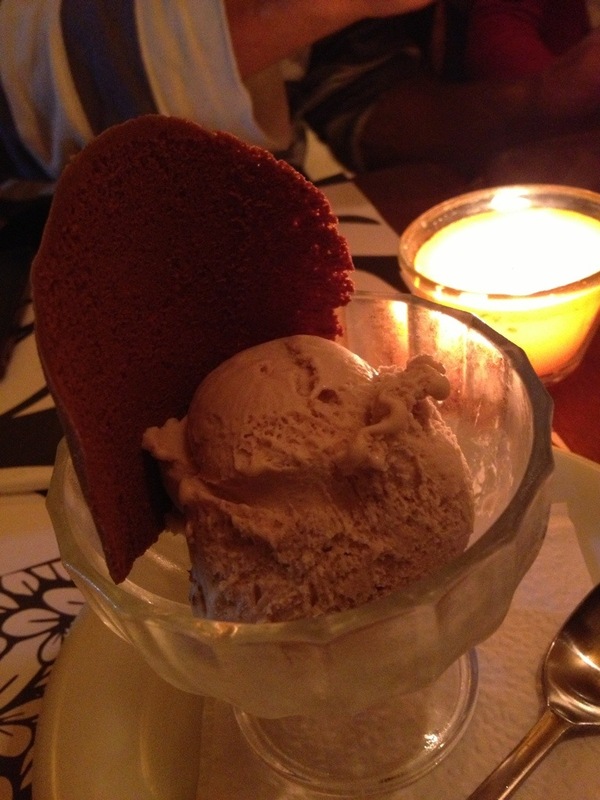 I heard several recommendations to try it in a blended dessert form! 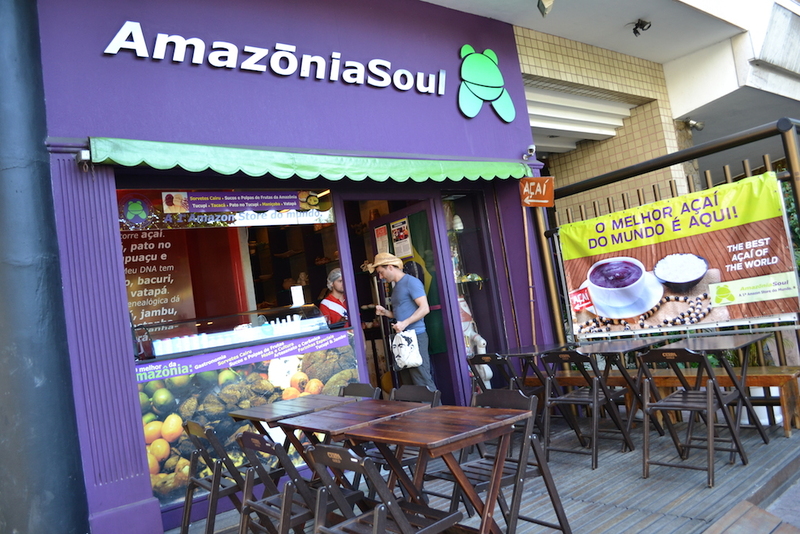 They sell this everywhere, including the beach, but we were advised to try it at Amazonia Soul! The price was higher here, but the quality was supposedly much better! 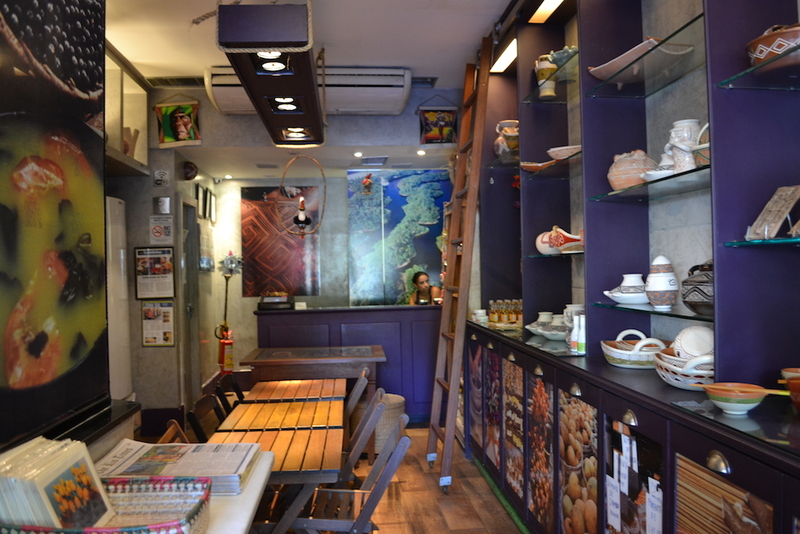 The interior of the store had a cool vibe to it. A perfectly refreshing drink while on the beaches. 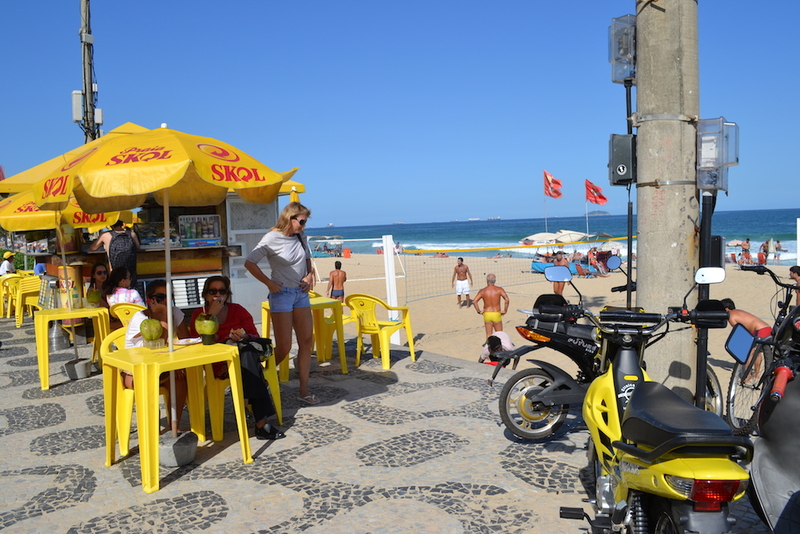 I went into more detail on getting coconuts and food brought to you while hanging out the beaches in Rio here. 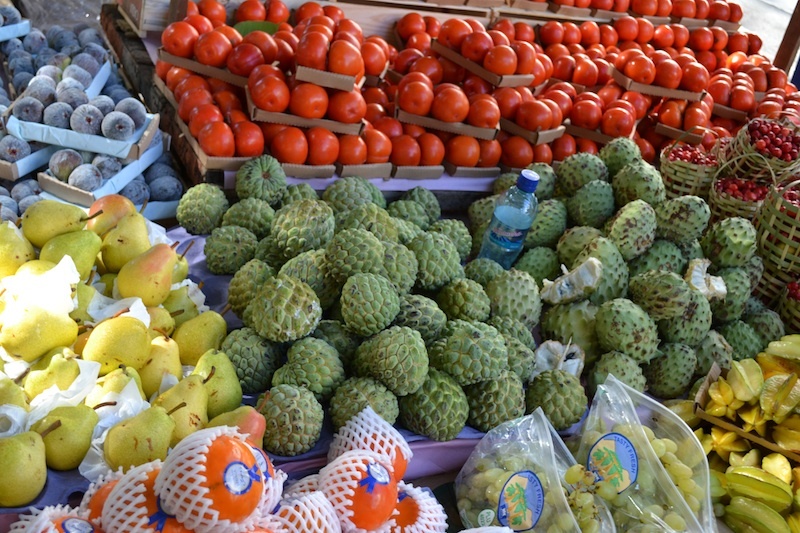 We headed out to the market one day to check out the fresh fruit and what other savoury things we could find. 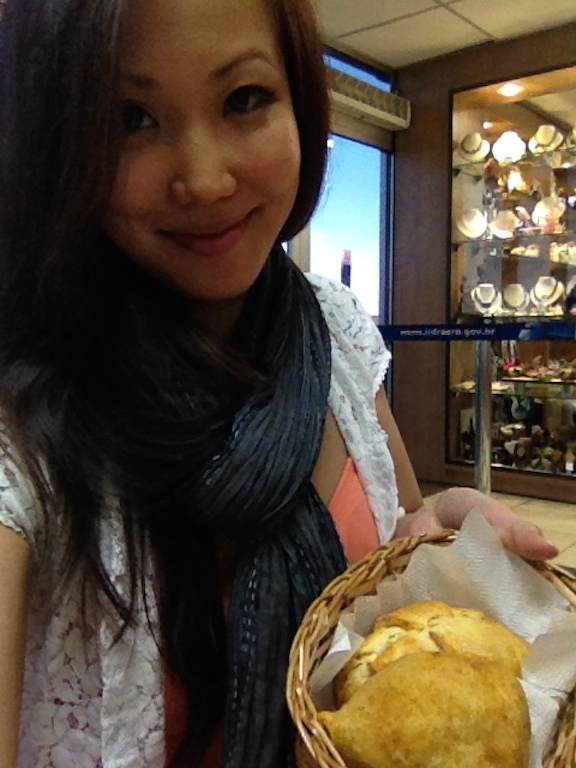 We found this giant bakery, Confeitaria Ipanema! 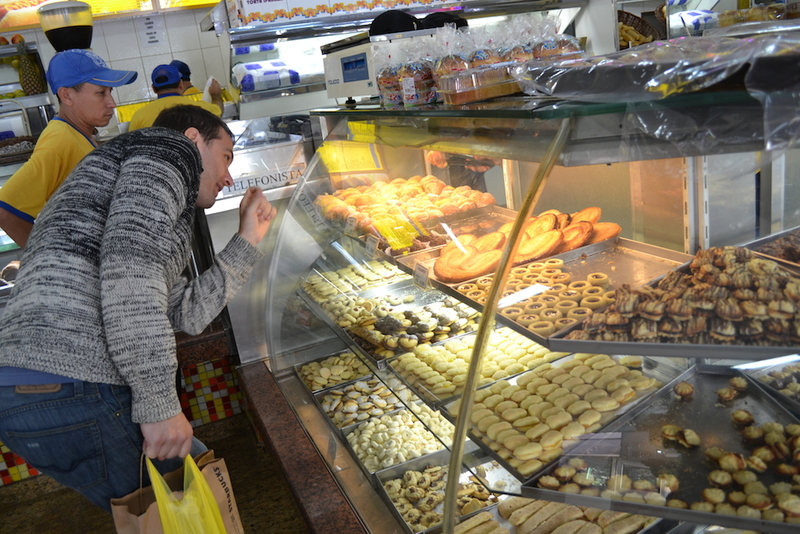 There were so many different pastries and cookies and cakes.. it was hard to decide what to try! Prices were really reasonable so we picked up a few different things to have later. 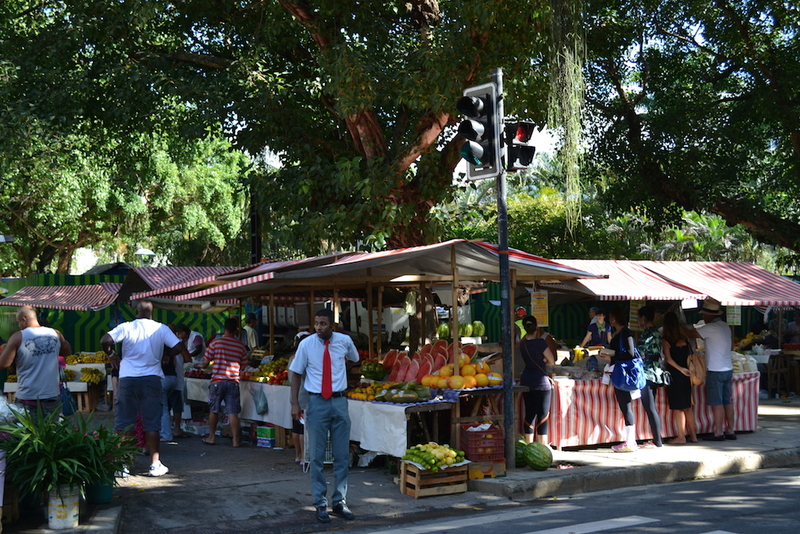 Across the street was this large open market with different varieties of produce and fresh flowers. And fried food! We had some of the fried cheese sticks. I LOVED the soursop juice I had earlier and now I would get to taste the original form. It’s pretty much my new favourite tropical fruit. At the market, the vendors will cut open the fruit and let you try samples.. and then you feel obligated to buy some afterwards. That was fine with me in this case. How would I describe soursop? Sweet and fizzy with a creamy/buttery texture. Our haul from the market! 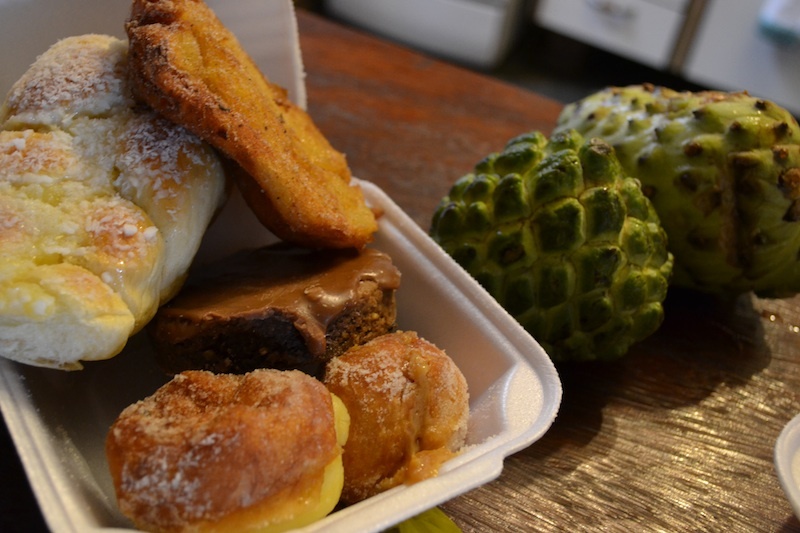 A coconut bun, custard-filled donuts, sugar coated donuts and some dense chocolate cake. 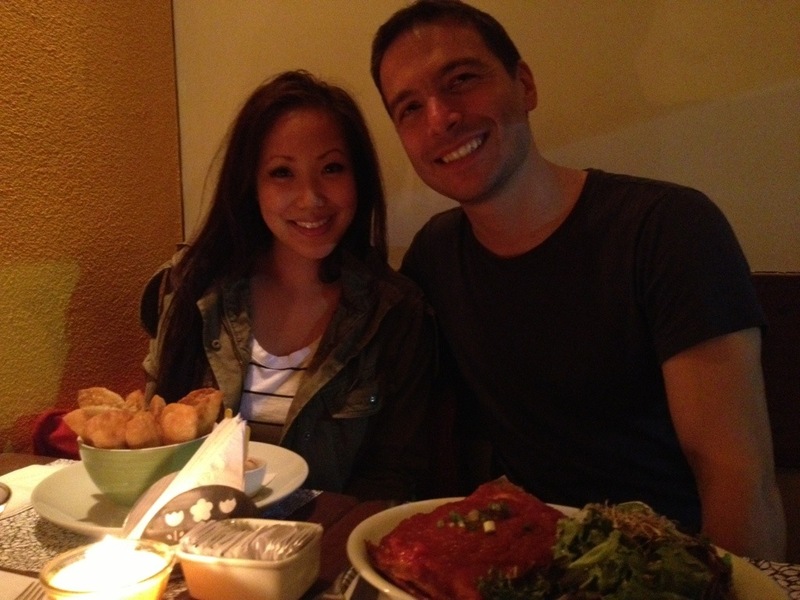 One night we tried another of our host’s recommendations – Portuguese style chicken! We had a side order of fries with peas and ham. 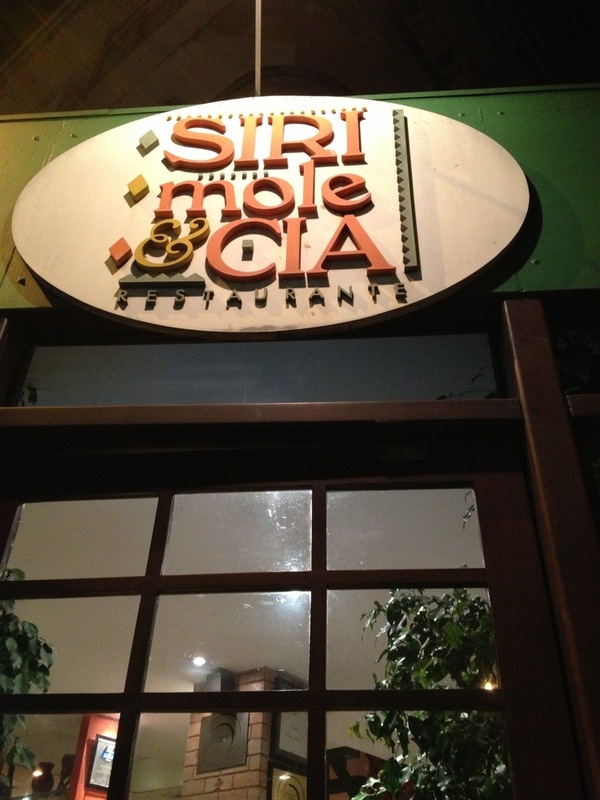 Here’s the restaurant, they have several locations. It was good, but it didn’t seem like anything out of the ordinary. 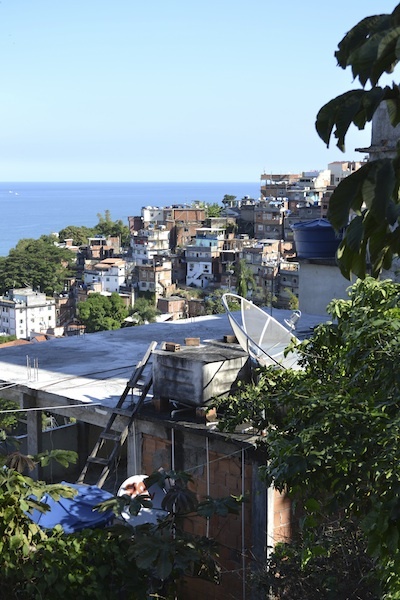 One our last day, our B&B host introduced us to Jefferson, from his surfing club that grew up in the nearby Favela ,who showed us around the area where he lived. 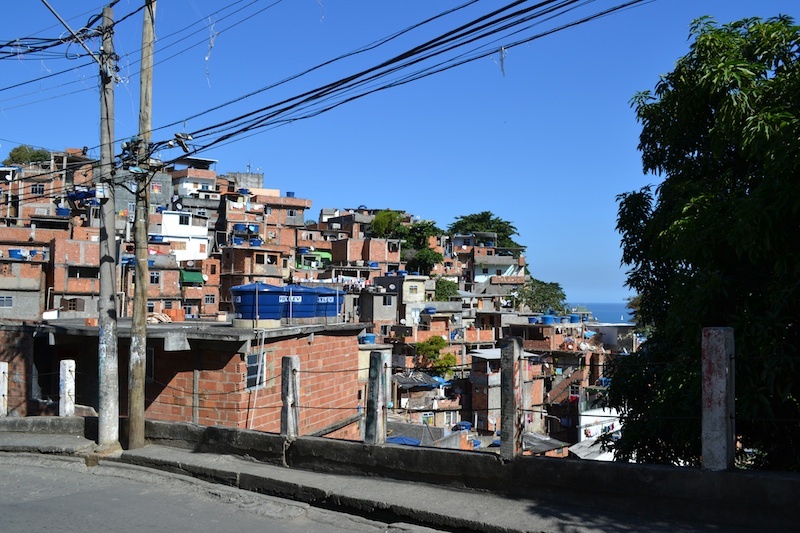 It’s pretty basic, but the views of Rio from here are amazing! Makes sense when you realize it’s perched on the hillside overlooking the beaches and ocean. 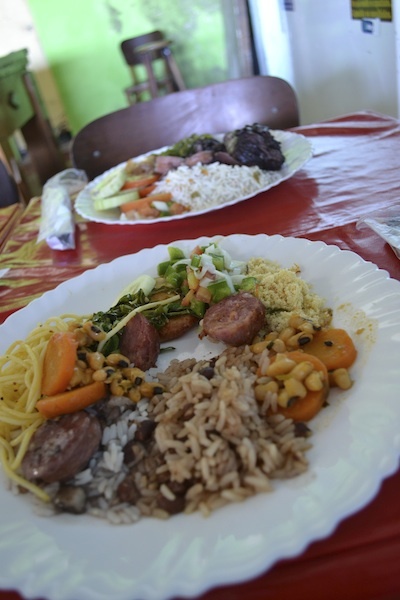 We finally got to try Feijoada: a traditional Brazilian dish which is a stew of beans with beef and pork. Here was the meal! It was great! 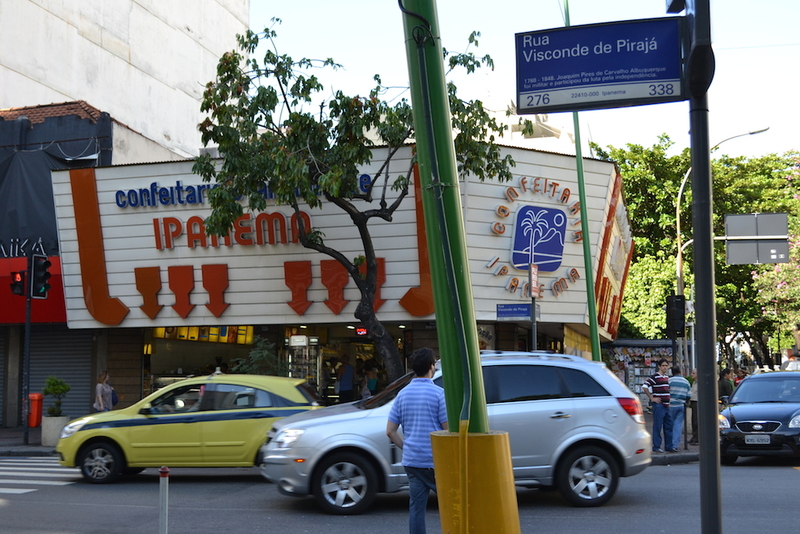 And it was about only a few Reais making it the cheapest meal we had in Rio! Contrast that with our last meal of the trip and the most expensive. Very hearty and tasty and some new flavours! That sums up my culinary journey while in Brazil! 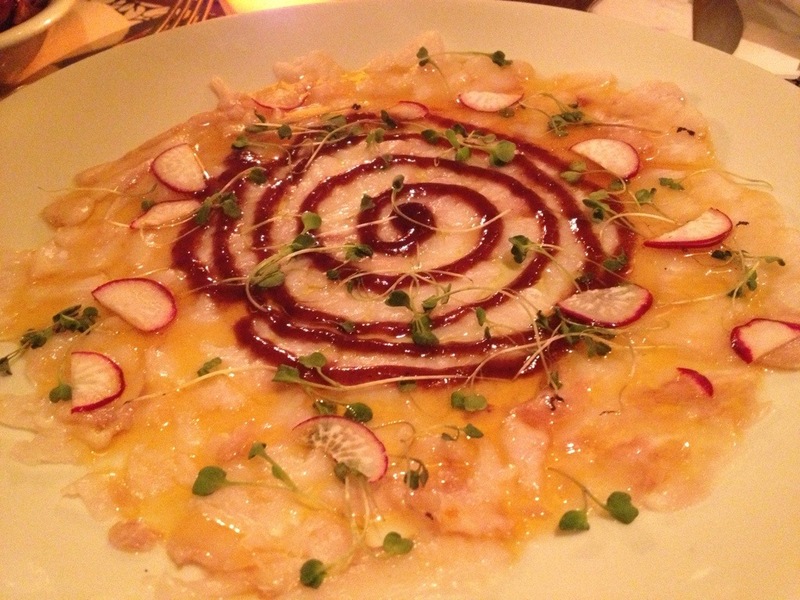 There are many dishes I still need to try but for now, that was a pretty good introduction! And I’m glad I got to try many things on the list Ella suggested for me. 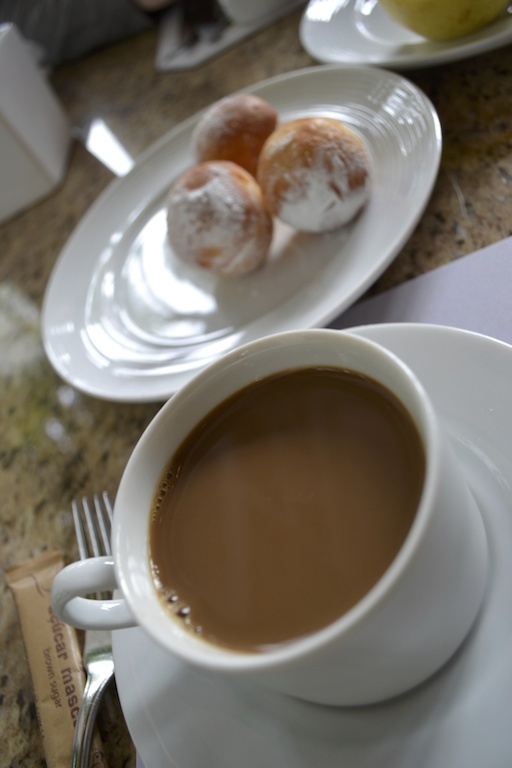 Including chocolate filled churros on the beach! 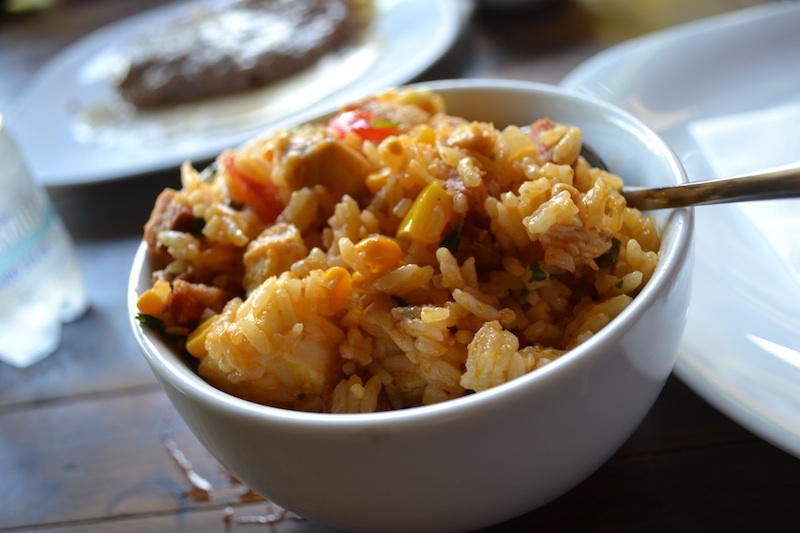 Got some favourite Brazilian dishes? Please share in the comments below!